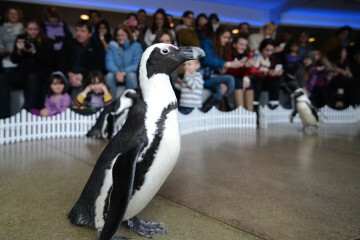 The National Aviary’s Tropical Rainforest brings back fond memories for Pittsburghers young and old. Think back to school field trips, or visits with family, and remember the walkway that leads you through the greenhouse-style bird habitat. You may recall a purple Victoria Crowned Pigeon strutting by with its intricate crown of feathers, or colorful parrots perched in the trees, or the calls of tropical birds flying around you. The room is now 66 years old, and it just got its first major renovation, preserving it for generations to come and bringing new, must-see features that completely revitalize the space. 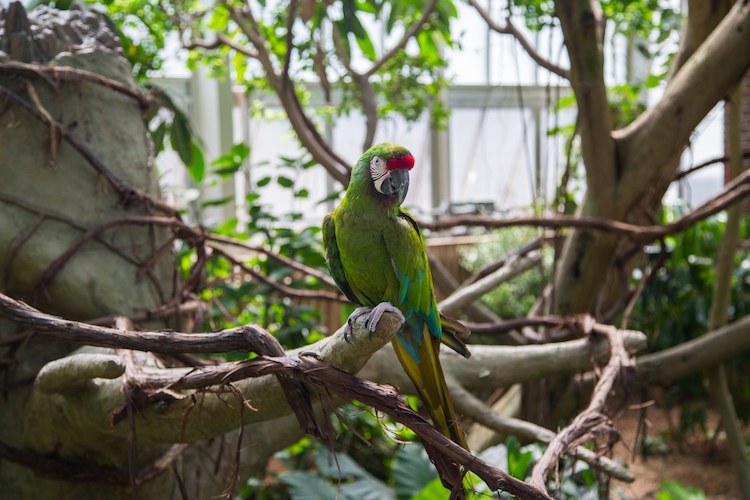 Whether you’ve visited the National Aviary recently, long ago, or not at all, there’s never been a better time to plan a trip to Pittsburgh’s North Side neighborhood where our nation’s Aviary resides. While you’re there, take time to discover the new Tropical Rainforest and notice all the details that make the room one-of-a-kind. Here’s five to get you started. Little boy with ducks in the Tropical Rainforest. The first thing you’ll notice as you walk into the room is the abundance of natural light from the glass ceiling. Each pane of original glass was replaced by hand with new bird-friendly glass with an elegant etched finish, designed to prevent window strikes from birds in and outside the habitat. The ceiling isn’t just beautiful, it was also specially fabricated to allow penetration of UV light for the health of the birds and plants within. The gentle flow of water greets you immediately, and your eyes are drawn to a 15-foot tiered waterfall. The stunning feature is ideal for birds to bathe and play and is a natural gathering place for a variety of species. See adorable ducks swimming in the pond, notice the iridescent feathers of the Southern Bald Ibis perched atop the rock formation, and don’t be surprised if a flock of colorful Golden Breasted Starlings zips through the air to gather in the trees surrounding the waterfall. The Tropical Rainforest was designed to mimic a wild habitat where lush tropical foliage is bountiful, and it did not fall short of the mark. 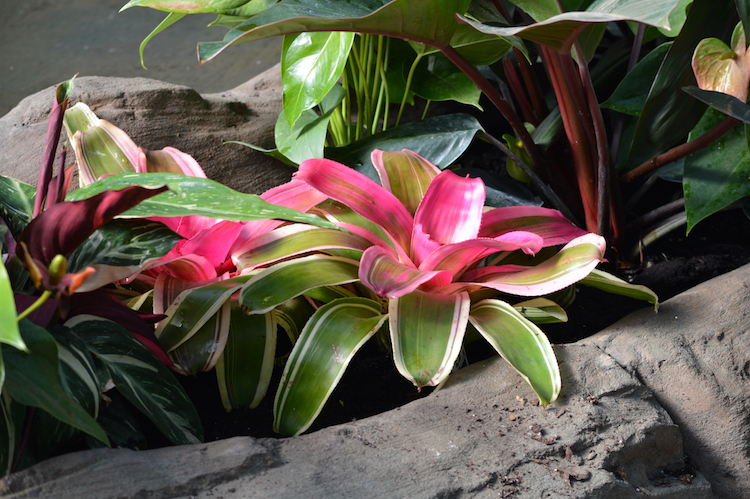 Many of the original plants and trees in the room were preserved during the renovation, and more than 400 new tropical plants were added to bring even more vibrancy to the space. Notice the coconut palm, the pink and red bromeliads, a mango tree and lush fan palms, just to name a few. Don’t miss the coffee and cacao plants growing beneath the canopy, and take a moment to learn how these tropical plants can be sustainably grown to make bird-friendly coffee and chocolate. Military Macaw. Photo by Miranda Costa. 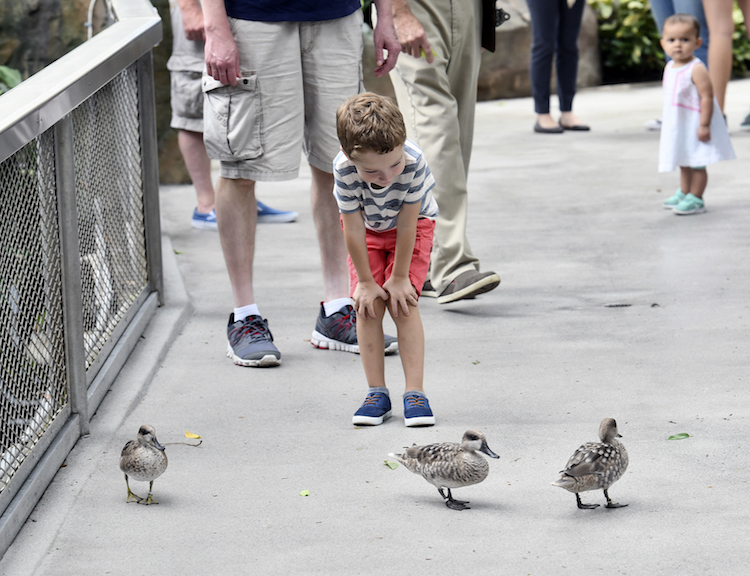 The National Aviary’s friendly staff and volunteers aren’t the only social creatures you’ll encounter as you make your way through the habitat. Say hello to Bubba, the critically endangered Palm Cockatoo (he might even say hello back), and don’t miss Mac the bright green Military Macaw as he climbs and plays on his custom-built tree. Then, pay a visit to Benito, a Hyacinth Macaw who’s been at the National Aviary since 1993, and his new companion Sapphira. Watch as the two preen each other’s feathers and climb around the custom perching designed especially for them alongside the waterfall. Wookiee the Sloth. Photo by Jim Cunningham. Spend some time searching the trees, and see if you can catch a glimpse of the habitat’s furriest resident. 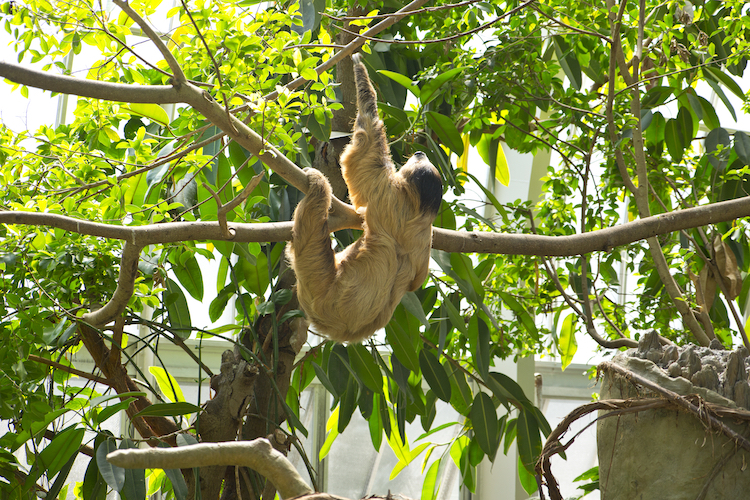 Wookiee, the Linnaeus’s Two-toed Sloth will be hanging out (literally) in the rainforest canopy. You may spot him snoozing his day away, as sloths tend to do, or even climbing among the branches in his signature slow motion. There is no limit to what you can discover as you explore this intricately designed space at the National Aviary. Learn all about the inhabitants and the challenges their wild counterparts face as rainforests are depleted to make the many products we purchase every day, and find out what sustainable choices you can make to help preserve rainforests and their vital resources. 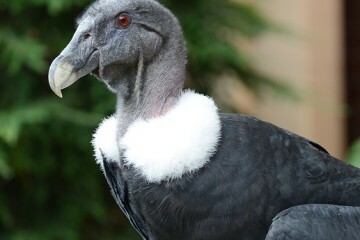 What will you notice during your next visit to the National Aviary? 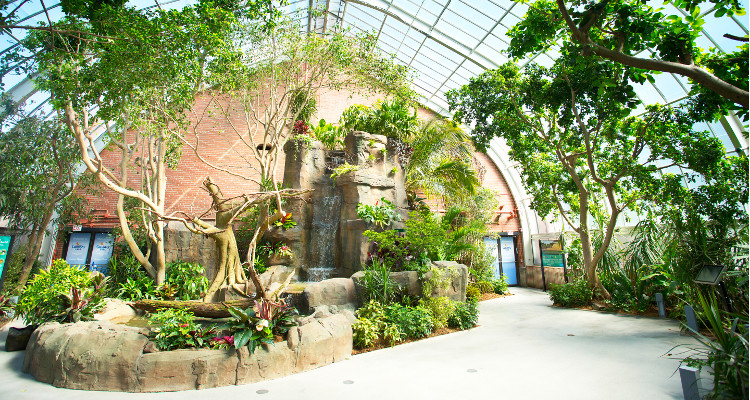 The Tropical Rainforest renovation is funded by Colcom Foundation and The Allegheny Regional Asset District, and is sponsored by Allegheny Health Network, Peoples, Trib Total Media and Vitro Architectural Glass (formerly PPG Glass).